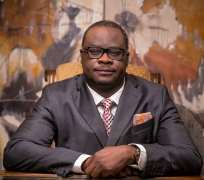 Kola Adesina, Chairman-Egbin Power Plc. has said Nigeria's Power sector required robust policies and stakeholder collaboration to make the sector more bankable to facilitate fresh investments to drive expansion and growth. "While we can have various submissions on the state of Nigeria's power sector, one thing remains vital. The sector needs to be bankable to realise our desire for uninterrupted and reliable power supply. This would require forward looking policies as well as a firm resolve by all stakeholders to work together seamlessly. The question becomes, are we ready to do what it takes to achieve our desire," Adesina stated during a pre-event chat.